Roads & Highways | Glenn O. Hawbaker Inc.
For decades Glenn O. Hawbaker has been a leading builder of roads and highways in the Commonwealth of Pennsylvania. Our experience ranges from the construction of unpaved forest roads to the Interstate Highway system. We are fully qualified to perform any type of work required on a Pennsylvania Department of Transportation roadway. Additionally, through the vertical integration of our company we have our own aggregate resources and produce our own paving materials all of which are tested and compliant with Penn DOT standards ensuring the quality of the end product. We are one of the largest Penn DOT contractors in the state. 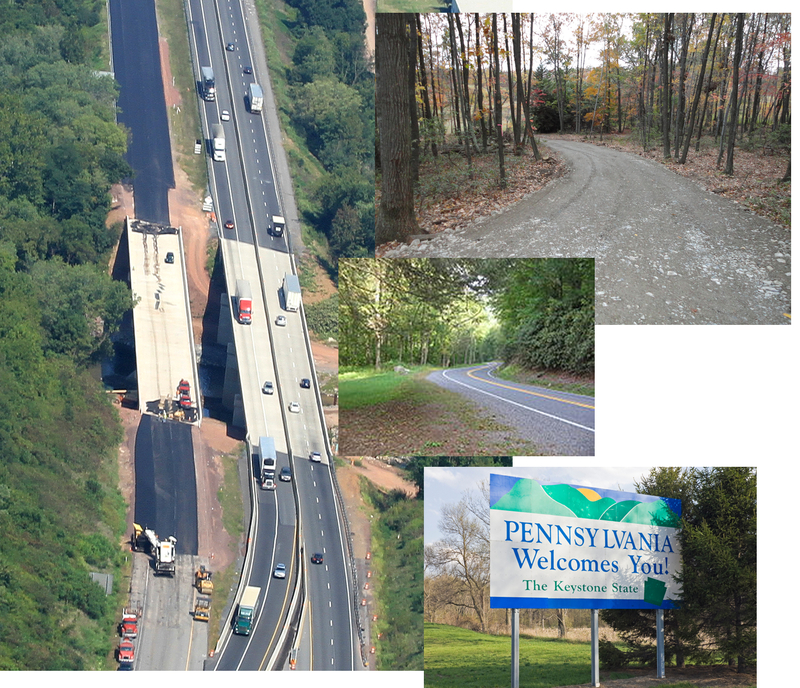 We also work with private customers who may be required to build or modify Penn DOT roads such as the gas industry. We work with our private customers to provide the best solution to work required on Penn DOT roads and remain complaint with their obligation to meet Penn DOT standards.